A contemporary exotic arrangement in vibrant colours set a co-ordinating ceramic container. An ideal gift for the person who likes something a little different. 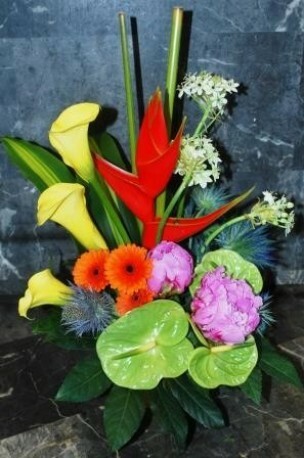 Flowerscene deliver flowers in Aberdeen and surrounding areas. Same day delivery is often available on orders received before 2pm local time.